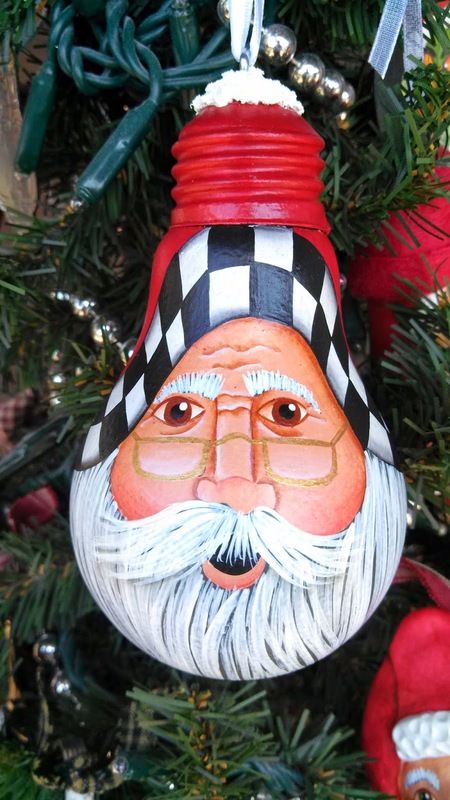 I have forever wanted to paint a santa with glasses and now I can mark that off of my list. This is what I came up with. I also love black/white checks so he needed those on his hat. So happy to add him to my ever growing santa collection! I hope you like!